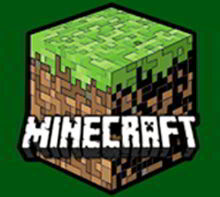 You've reached this page because you love Minecraft (probably). Several of the people in our office are also great Minecraft fans, and thus we're selling several different Minecraft t-shirts. All these awesome designs appear here, in this Minecraft t-shirts section! :) Well try and cover as much Minecraft related awesome as we can, from the Minecraft mobs, the building blocks of the the Minecraft world and absolutely everything else. Here you will find all of our official Minecraft merchandise! The more you play wi..